April 2014: Best G8 Group Shot Photo Theme Contest! April 2014 Photo Theme Contest!! 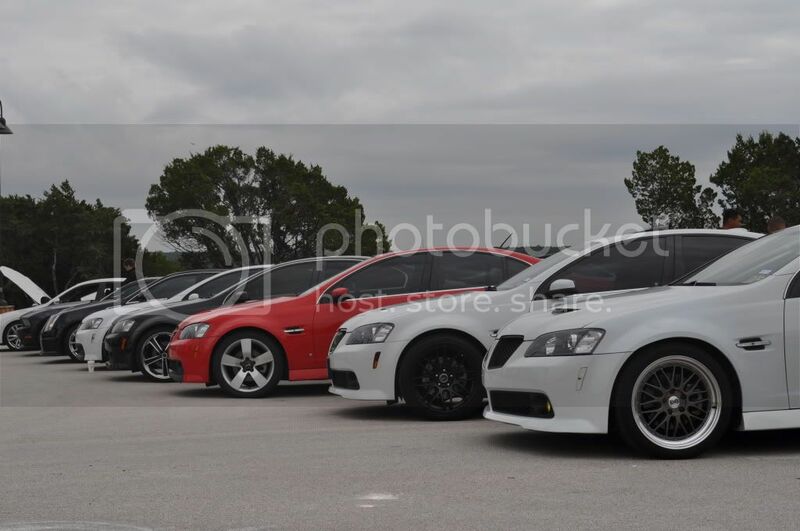 Submit your best picture of an all (or mostly) G8 Group Shot!! 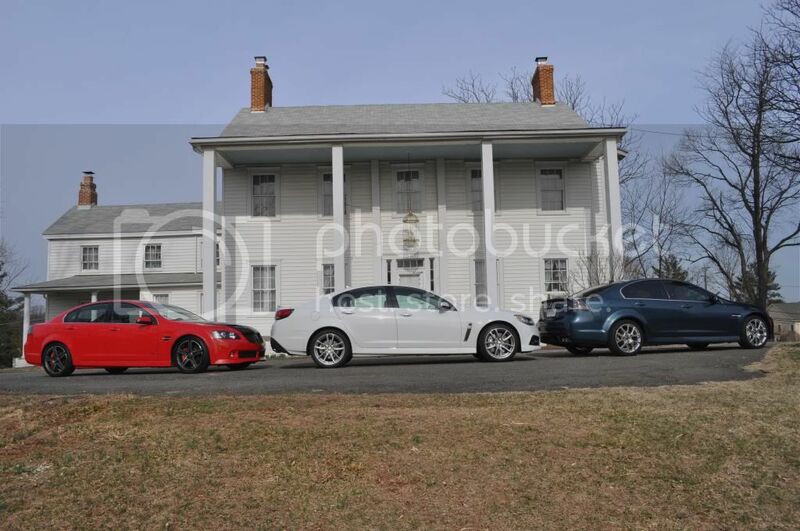 After the votes are in, the winning group photo will be on the homepage for April 2014. Only the first 10 nominations will be accepted, so hurry up and submit your photo! poles will be open as soon as the 10 submission slots have been filled. PHOTOBUCKET is the preferred method for posting photos. Easy to use and the photos expand very nicely to show off your detail better. Last edited by Troy Trackbeast; 04-02-2014 at 06:34 AM. I'm in the red! Cheers. and we are off! That is an awesome picture man! Last edited by Troy Trackbeast; 04-02-2014 at 06:23 AM. PS - I'll get a higher-res version up when I get home. Last edited by Troy Trackbeast; 04-02-2014 at 06:24 AM. 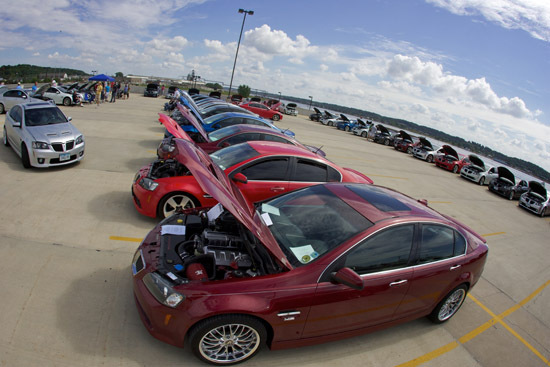 Let's go with the 1st Annual OGOC Lakeview meet from last year. 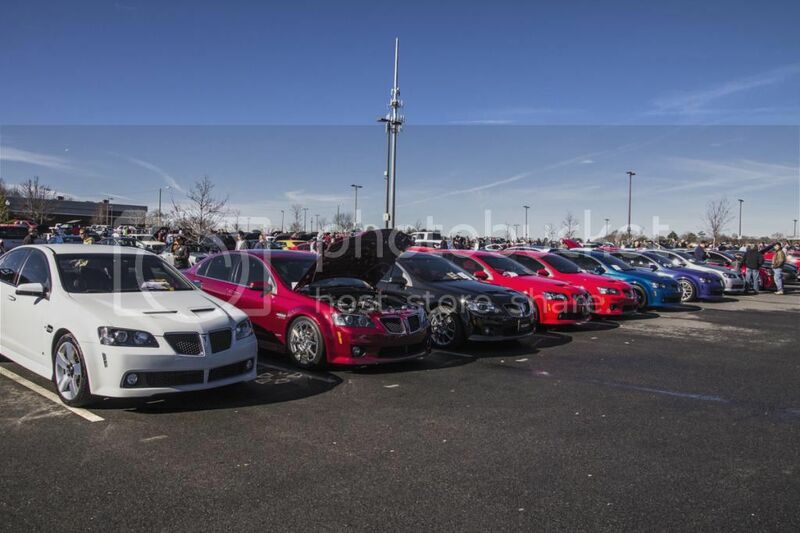 This is 14 of the 19 G8s which took part in the meet. Picture take in front of GM Canada's Headquarters in Oshawa, Ontario. Last edited by Troy Trackbeast; 04-02-2014 at 06:25 AM. All lined up at the track! Last edited by Troy Trackbeast; 04-02-2014 at 06:30 AM. One of my favorite memories of the first GONE in 2010. 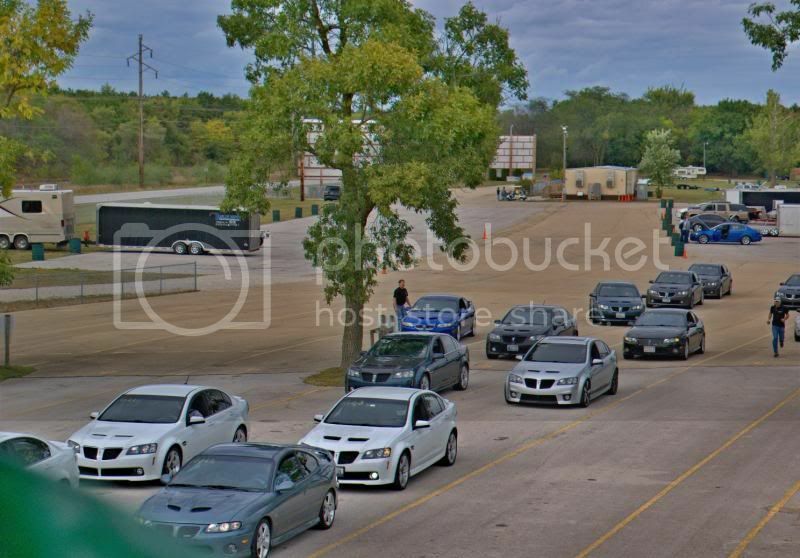 It was the first time all of us were able to see so many Pontiac G8's in one location and we all, together, exchanged our feelings about how special these machines were. What a blast! Last edited by Troy Trackbeast; 04-02-2014 at 06:26 AM. Mine was the white one next to INSTIG8's orange (whatever happened to him?). The good ole days. Hope I'm eligible for this. PS you can see Kevin in this picture. Last edited by Troy Trackbeast; 04-02-2014 at 06:27 AM. This is going to be difficult to decide. All the pics are soo good. 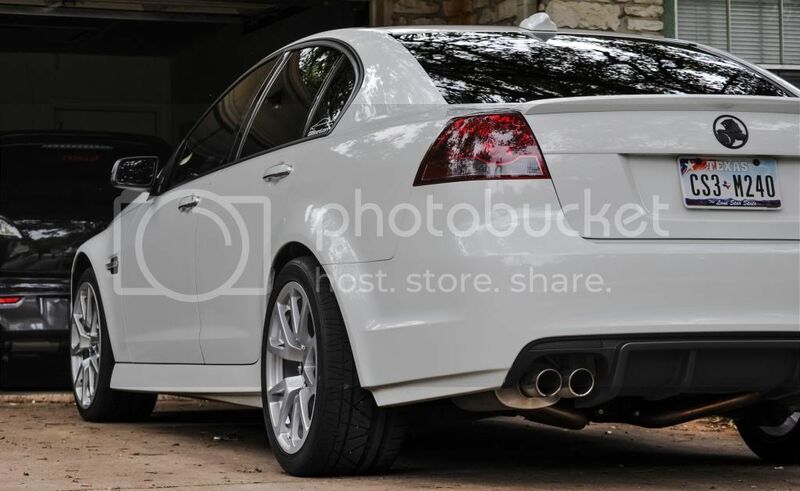 13' Wicked White Evo X--SOLD! Polls are open, Good luck Everyone! #5 but there is going to be a bigger one taken this year! 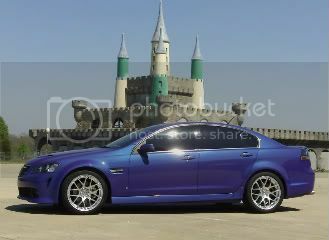 might need a panoramic shot to fit 40+ G8 in shot.. or fly over. Anyone got a helicopter?